We can print from any media, CD, USB, Email or larger file sizes can be uploaded onto our company FTP site. We can accurately print your documents, from PDF or Word files to more complex Excel files requiring skilled print procedures for optimal viewing of printed documents. Large format posters, Brochures, Booklets, Flyers, Leaflets, Business cards, Letter headed paper, Compliment slips. Also folders containing a mixture of file formats in colour or black & white. No job is too big or too small. 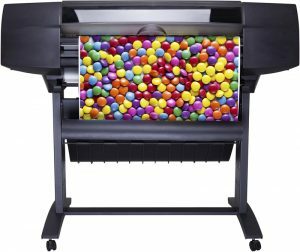 Our large format HP printers produce stunning results for your needs, from simple architectural drawings to full colour A0 size posters on high quality gloss or satin stock at great prices! We can also mount these on polyboard or laminate, just let us know.